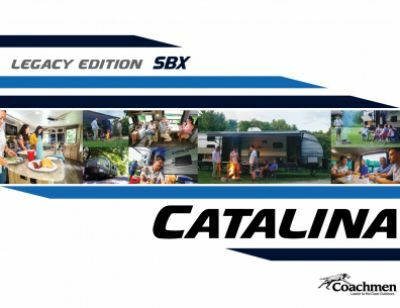 Go on a trip that is worth remembering with the 2020 Coachmen Catalina Legacy Edition 313DSRBCK Travel Trailer! Here at All Seasons RV, we pride ourselves on being one of the top RV dealerships in the country! We do it with top-notch service, a huge inventory of all the top brands and models, amazingly low prices, and fast, easy financing that can fit your budget! We're located in Muskegon, Michigan and we welcome you to stop in anytime and tour our outdoor lot and our huge indoor showroom! Drop in today at 4701 Airline Rd Muskegon Michigan 49444 or give us a call at 231-739-5269! Don't live in Muskegon? No problem! Check us out online, pick out your favorite RV, and call us today! With our fast, free 24/7, door-to-door delivery service, you'll be on the road in no time! Protect camping chairs and picnic tables from the elements with the 18' 0" awning. This rig has a GVWR of 9800 lbs. and a hitch weight of 872 lbs. 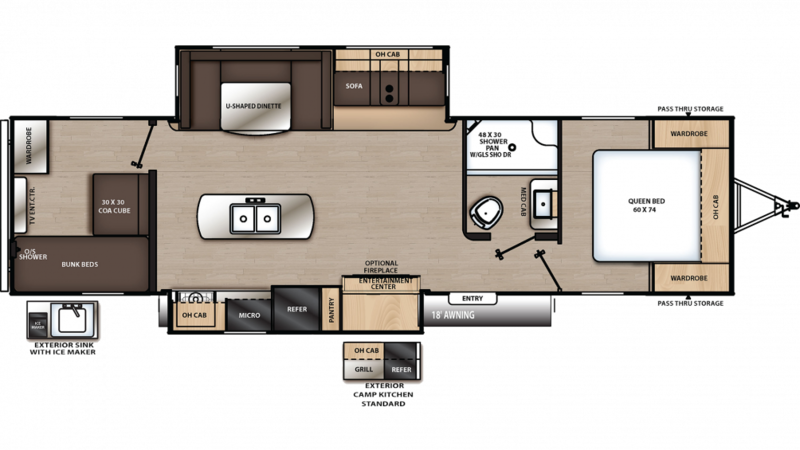 With a length of 35' 8", width of 8' 0", and a height of 11' 3", the interior of this RV is nice and spacious. With 2 slides, the interior becomes even more spacious. The living area is kept temperature controlled with the 35000 BTU furnace and the 13500 BTU a/c. Sleep like royalty on the campground with the snug and spacious Queen bed in the master bedroom! While you'll be sleeping well in comfort and privacy, your guests or family members will also be drifting off to sleep in ease! This RV has enough cozy sleeping accommodations for up to 6 people! Trade fast food and campfire snacks for home-cooked meals in the kitchen of this great RV! The possibilities are limitless with the 7.00 cu. ft. refrigerator, 3 burner range cooktop, and more! The 44 gallon fresh water tank ensures that you'll have enough fresh water for the entire trip! The whole family will sleep well thanks in part to the Bunkbeds in the bunkhouse! Nothing smells better than the aroma of food cooking outdoors! And nothing tastes better, either! That's why you'll love the terrific outdoor kitchen! Whip up all your family's favorites, and never miss a moment of fresh air and sunshine!